﻿Students at the private Hacienda del Sol School for girls participated in a range of activities, including archery. 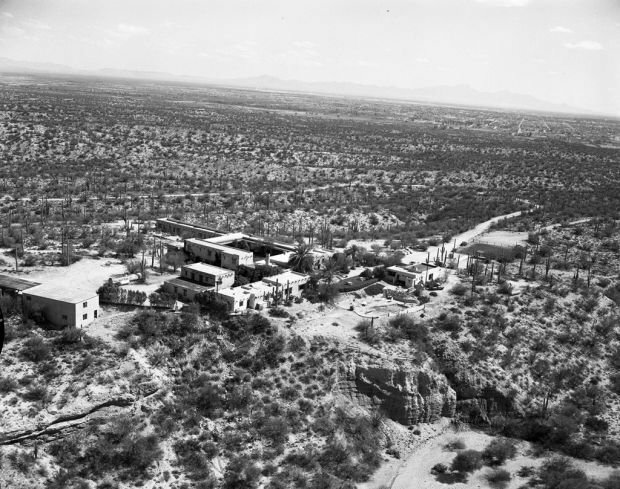 ﻿The Hacienda del Sol School had a lone presence in 1940. The area would become what is today the Foothills residential area. 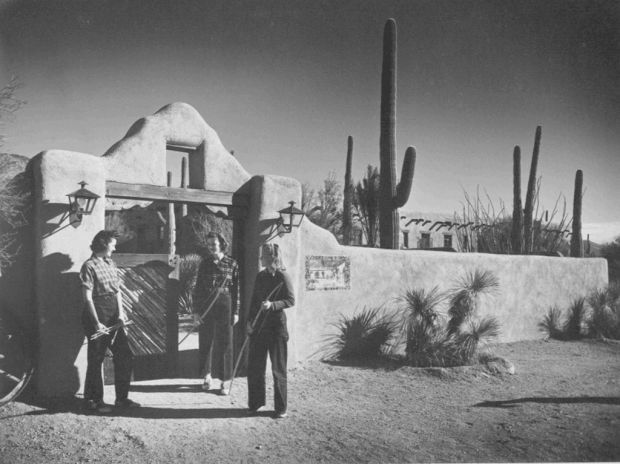 In 1929, John and Helen Murphey built a Spanish colonial-style ranch they called Hacienda del Sol. It opened as a private boarding school for girls. It’s believed that, at the time, the Murpheys were leasing the land from the state under the provisions relating to state school and institutional lands of the Public Land Code of 1915. But on Sept. 15, 1930, John Murphey bought 480 acres of land, including the school site, from the state of Arizona at an auction held at the Pima County Courthouse. The school year ran from Oct. 1 to May 1, with the cost of board and tuition at $2,000 (later $2,500). The students ranged from 12 to 18 years old. Hacienda del Sol offered both a lower school (normally seventh and eighth grades) and an upper school (high school and college prep). The lower school taught classes such as English, math and drawing, while the upper school offered study in English, grammar, algebra, biology, sketching and more. The girls took physical education in the form of dancing, golf, group games, hiking and horseback riding. Students were required to buy their own horse and saddle, but board for the horse at the school stables was included in their tuition cost. The school had an average of about 20 pupils per school year. They attended classes from 8 a.m. to 1 p.m. (that later changed to 9 a.m. to 1 p.m.), followed by lunch and an hour of relaxation before physical education began. The school was advertised nationally and drew girls from all over the country, including Agnes (1931-32) and Violet (1931-1934) Westinghouse, granddaughters of George Westinghouse of Westinghouse Electric Co.; Deborah Spalding (1935-36), daughter of Silsby M. Spalding, the first mayor of Beverly Hills, Calif.; and Ellen Wilson McAdoo (1931-1933), granddaughter of President Woodrow Wilson. It’s unclear if this was an omission on the part of the clerk of the Board of Supervisors, J.F. Ryan, or if the board intentionally removed the word “school” because the proposed name was too long. The school became a guest ranch in the 1940s and still operates in that capacity today. Special thanks to Dan Cowgill of Fidelity National Title Agency and Sally Reichardt of Keller Williams Realty for research assistance.